Upmost professionalism that a person could ever ask for. 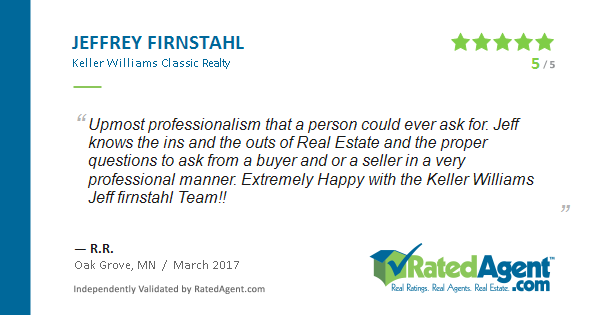 Jeff knows the ins and the outs of real estate and the proper questions to ask from a buyer and/or a seller in a very professional manner. Extremely Happy with the Keller Williams Jeff Firnstahl Team! !